Never content with doing nothing (except at the beach with a book in my hands...) I went about working on my red and white quilt over the past days. For those who don't know the quilt I am talking about, this is my Brit Bee quilt from when I was Queen Bee back in July (gosh this one has almost turned into a UFO). The last post I wrote about it was in August where I added my blocks to the other Bee blocks and contemplated on the sashing and quilt back. I took up all your advice and sashed in white and also made a giant lock cabin back. 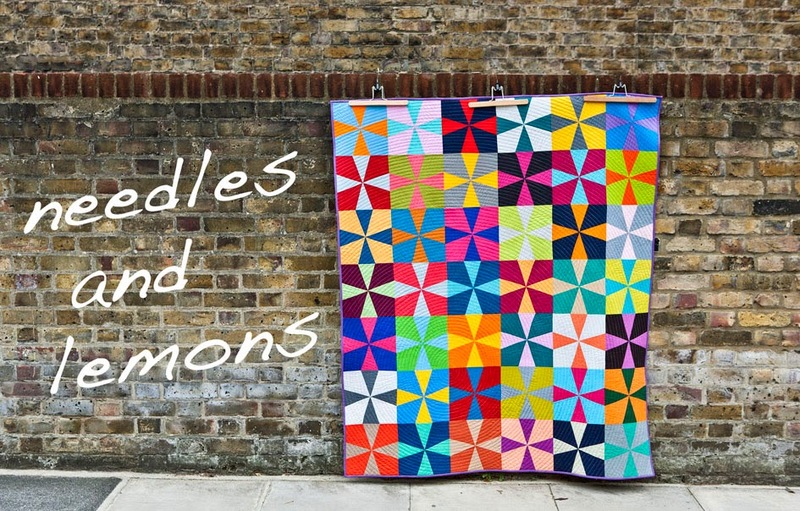 It has been such a pleasure sewing all the blocks together because they are all so amazing. 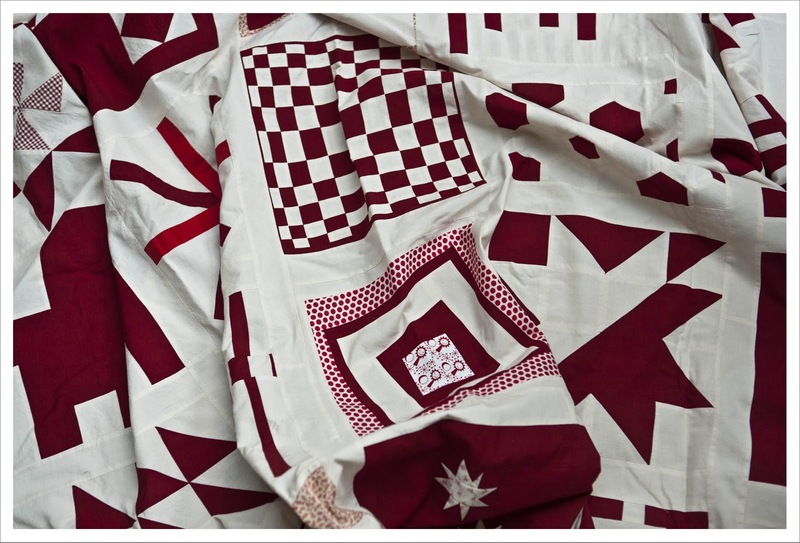 I hanker after making a red and white quilt - you have just inspired me to move it up the list! 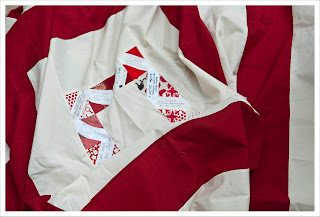 You should consider linking up to the FAL http://gapquilter.blogspot.com/p/2012-finish-long.html I love red & white! I can't wait to see this. oh you tease, I was hoping to see the whole layout! Maybe soon, hey? Oh I can't wait to see this one! Oh wow, this is going to be so beautiful! Cant wait to see it! It's going to be wonderful - please may we see some more?! You'll have this baby done in no time. Can't wait to see the finished results.